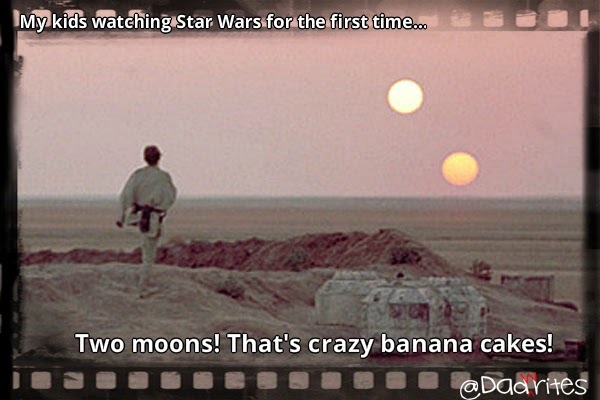 It's a special moment when a geek introduces their children to Star Wars for the first time. On the blog Dadrites, after much encouragement from Facebook, Alex started his toddlers on the road to geekdom with A New Hope (natch). 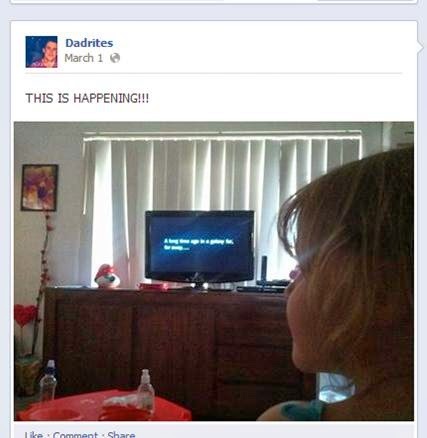 Fortunately for us, he recorded their reactions to key moments in the movie. And it's completely adorable. Be sure to check out Dad Rites for all the hilarious commentary! 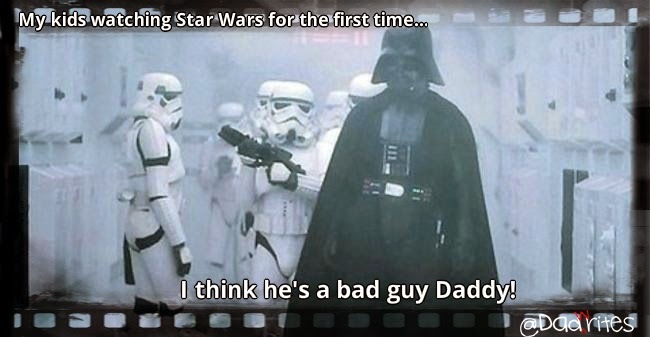 I'm pretty sure my son said at the end of ROTJ "He didn't mean to be bad." 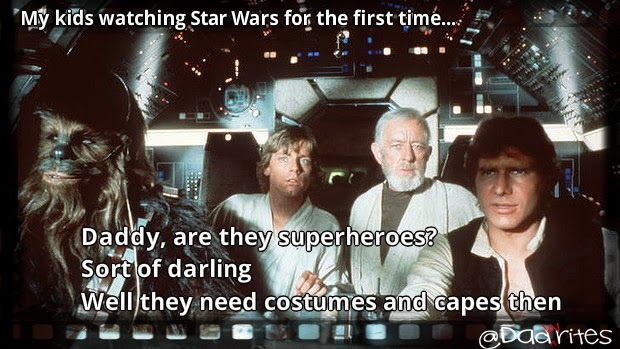 speaking of Darth Vader. Kids say the darndest things. 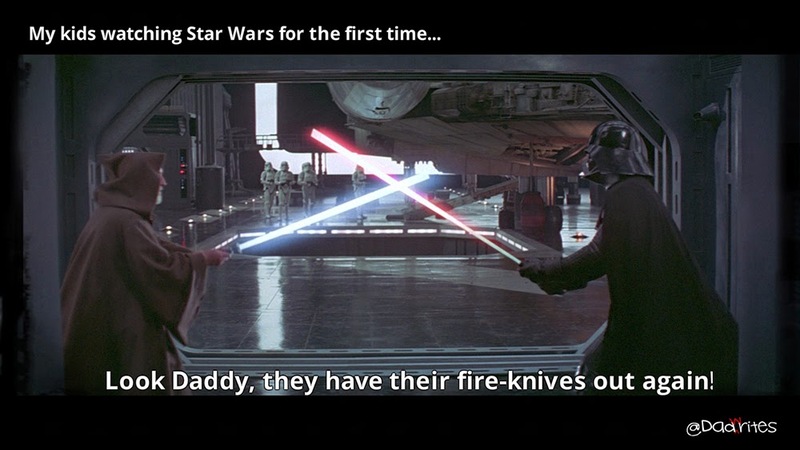 I'm not sure if my brother has shown Star Wars to my nieces yet. Thanks fellas, glad you liked my post. 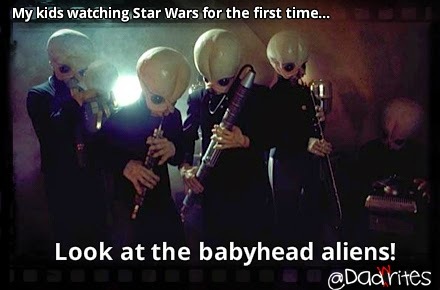 I'm not sure how long to leave it before showing them Empire Strikes Back. There are a few tastier moments in that! Thanks for sharing this and I LOVE your website! Funny indeed. Just love that yeeeeesssss at the explosion. Bet that came from a boy.